During this engaging and interactive digital lesson, the learners will receive direct instruction and practice with spreadsheets. Learners will gain experience with worksheets, cells, rows, columns, cell addresses, labels, navigating tables, and entering data. 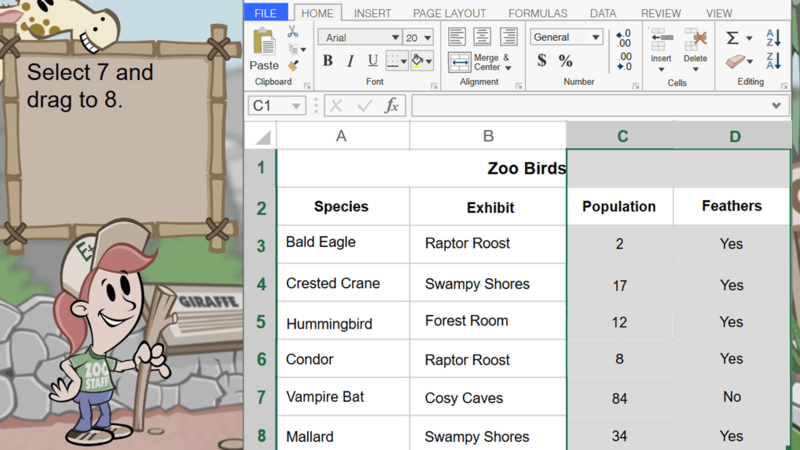 Through direct instruction and practice in this engaging and interactive digital lesson, the learners will organize information in a spreadsheet by navigating cells, rows, and columns, editing or deleting data, adding titles, and including labels in a table. The learners will receive direct instruction and practice formatting cells in a spreadsheet by merging and grouping cells, applying number formats, aligning cell data, adding borders and color to cells, and indenting data in this engaging and interactive digital lesson. Students use a spreadsheet to record acts of kindness they give and receive over the course of a week. 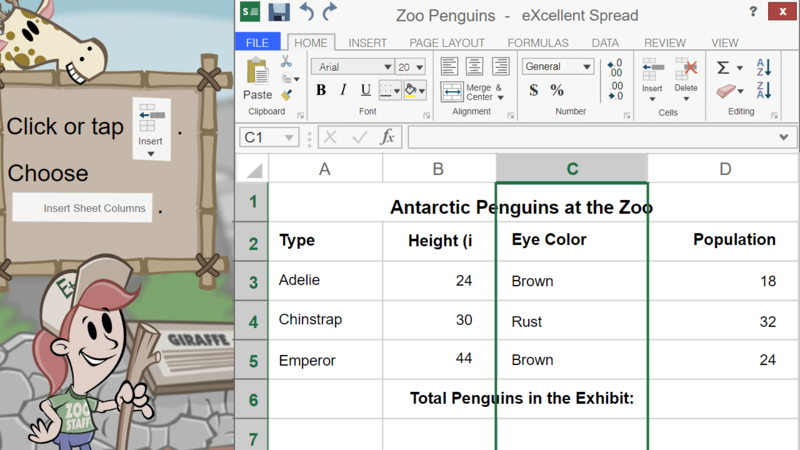 Students collect animal research and organize it using a spreadsheet. Students use a spreadsheet to perform interviews and display the collected data. Students create a checklist and rubric to help them track their progress on a book report. Students create a calendar page to monitor a project with a schedule. This engaging and interactive digital lesson provides direct instruction and practice as the learners insert and resize rows and columns, enter data into a spreadsheet, use alphabetical and numerical sort functions, use the summation function, and alphabetically organize information in a table. 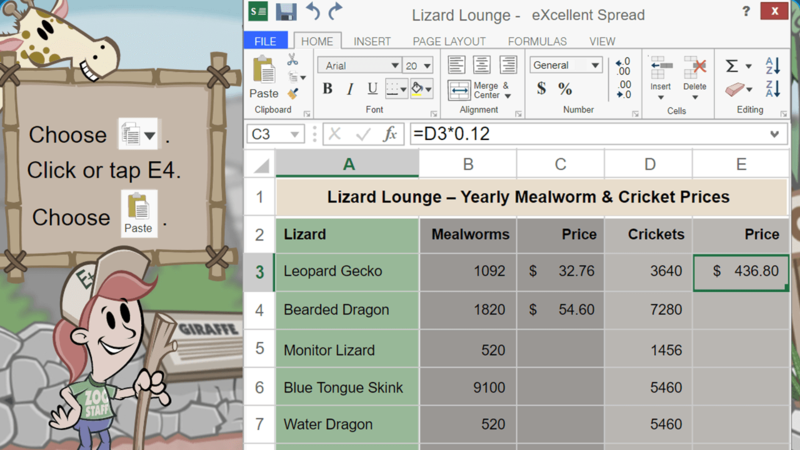 Students collect information about their classmates' pets and then use their populated data tables to create and modify a spreadsheet on the computer. This unit quiz assesses students' understanding of what cells, rows, and columns are as well as how to format them and the text contained in them. The learners will receive direct instruction and practice with pie charts in a spreadsheet program. They will use data found in a spreadsheet to create and label pie charts, then practice reading and interpreting data found in a pie chart during this engaging and interactive digital lesson. Students will create a pie chart that describes how their classmates travel to school. Students flip coins and use a spreadsheet to record how many times they land heads or tails. 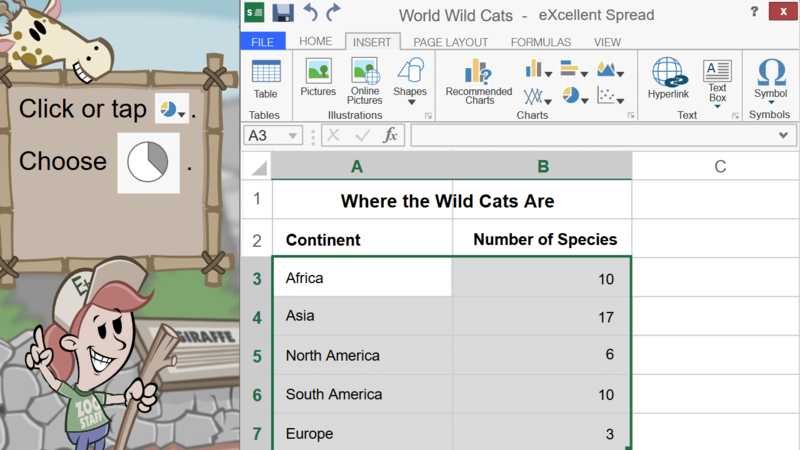 This engaging and interactive digital lesson provides direct instruction and practice as the learners work with bar charts in a spreadsheet program. They will use data found in a spreadsheet to create and label bar charts, then practice reading and interpreting data found in a bar chart. Students conduct a survey of their classmates' favorite ethnic foods, and display the information as a bar graph. Students estimate the length of common classroom items, measure the actual items, and record both sets of data in a spreadsheet to compare. Students observe and take measurements of different types of matter, create spreadsheets and a graph and then interpret their results. This engaging and interactive digital lesson provides direct instruction and practice as the learners work with line charts in a spreadsheet program. They will use data found in a spreadsheet to create and label line charts, then practice reading and interpreting data found in a line chart. Students draw pictures of each season, and then record and graph the temperature over the course of a week. Students will keep track of how many pages they read in a week and display that data in a line graph. Students observe physical properties of solutions and mixtures, and then create and interpret graphs about specific samples. This unit quiz asks students to interpret information presented in a variety of graphs. Students are asked to identify the steps in the graph-making process, to recall the relative advantages of different graph types, and to show they can update a graph by changing table data. 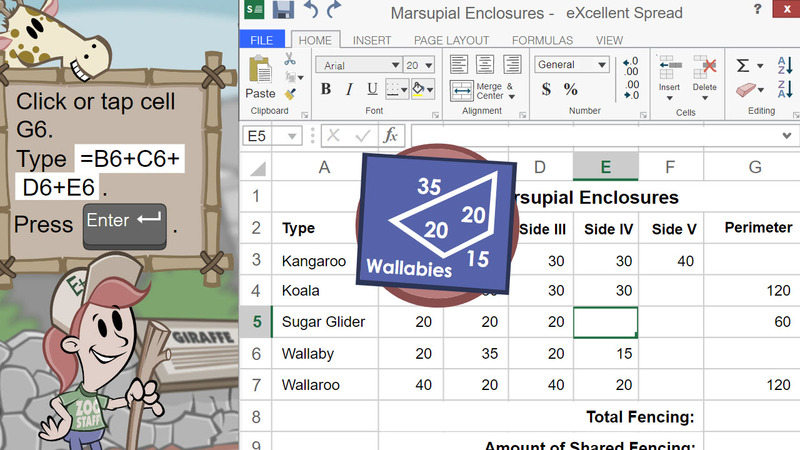 During this engaging and interactive digital lesson, learners will receive direct instruction and practice adding and subtracting data using formulas in spreadsheet tables. Learners will experience using cell names and addresses to create formulas, entering data in a cell, and using the sum command. During this engaging and interactive digital lesson, learners will receive direct instruction and practice multiplying and dividing data using formulas in spreadsheet tables. Learners will experience using cell names and addresses to create formulas and entering data and numerical formulas in a cell. 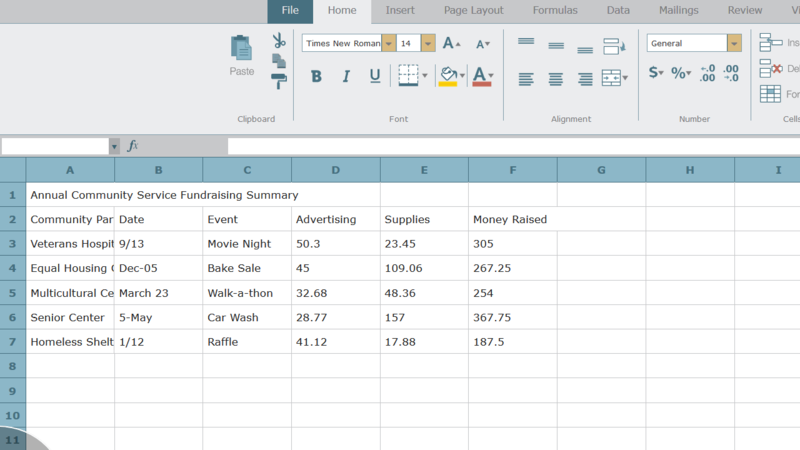 Students create a table of bake sale information and calculate totals using formulas in a spreadsheet. Students use a spreadsheet to create a table of provided walk-a-thon information. Students will use a spreadsheet to calculate how many of certain items to buy in order to maintain a budget. 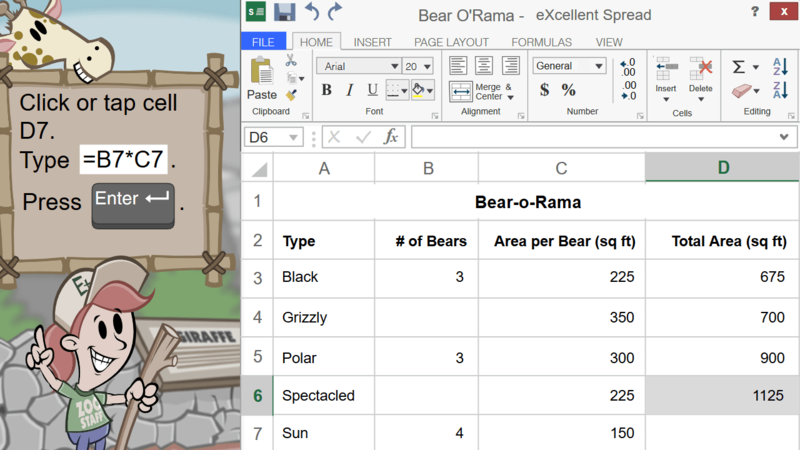 This engaging and interactive digital lesson provides direct instruction and practice with copying and pasting formulas in spreadsheets. Learners will use functions and gain additional experience working with formulas and tables. Based on supplies needed for a camping trip, students create and perform calculations in a spreadsheet. This unit quiz assesses the student's ability to create and identify correctly written formulas using numbers, relative references, or a combination of the two. Students are asked to identify operators, to show how the formula bar display relates to cell display, and to find the sum or average of a range of contiguous cells. 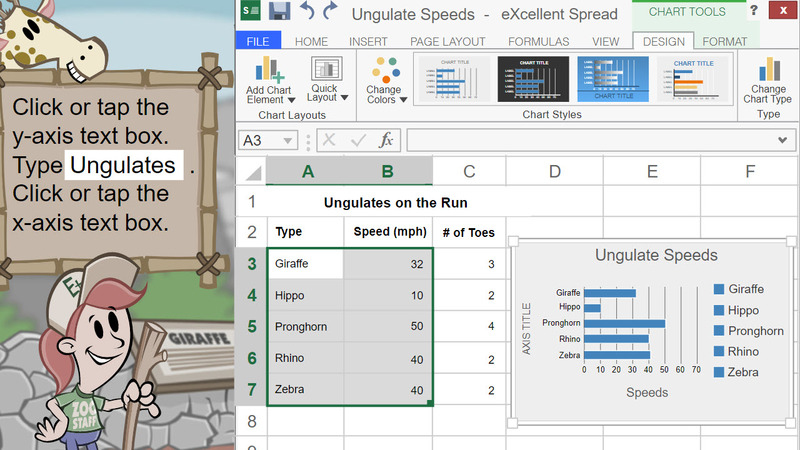 The learners will receive direct instruction and practice with components and navigation of a spreadsheet as they navigate cells, rows, and columns, enter, select, and organize data, and select groups of cells and entire rows and columns in a spreadsheet in this engaging and interactive digital lesson. 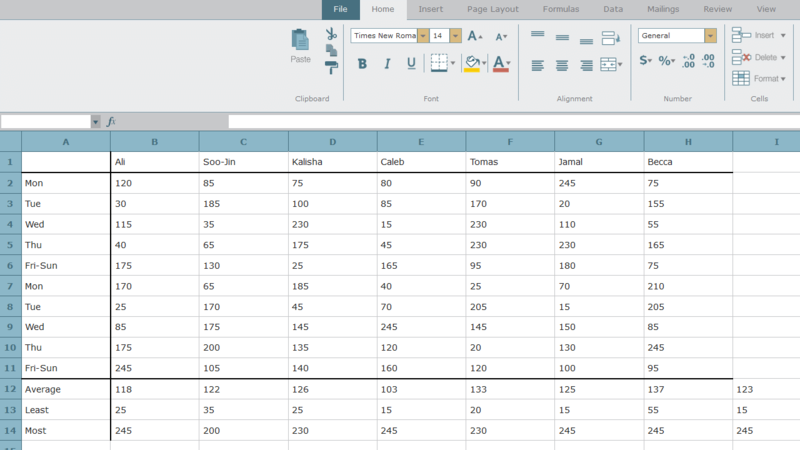 Spreadsheets are powerful organizational tools that allow the user to manage and understand large amounts of data. In this lesson, students will conduct a survey, create a spreadsheet, and input data into the spreadsheet in order to analyze results. Students will keep track of weather patterns in a chosen location and create a spreadsheet using collected data. During this engaging and interactive digital lesson, the learners will receive direct instruction and practice entering data to enhance spreadsheets using titles, borders, colors, and various formatting tools, sorting information alphabetically and numerically, and organizing data. 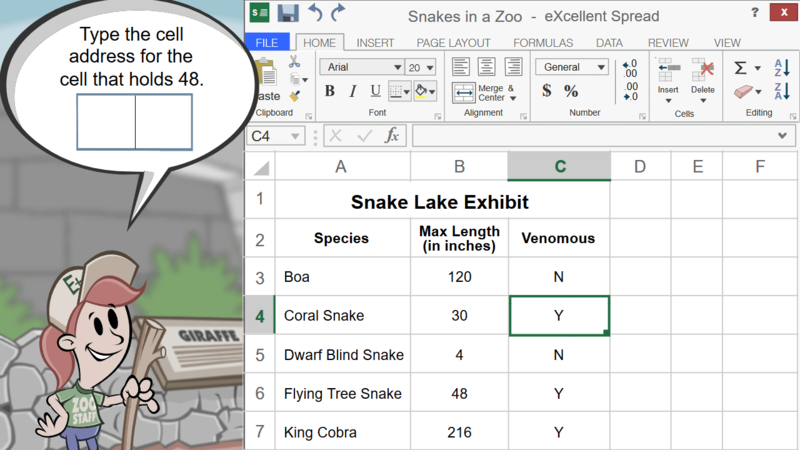 In this lesson, students will reformat an existing spreadsheet using specific tools to enhance the functionality of a report and to make the information easier to understand. Students will use what they have learned and create their own spreadsheet to help them plan for the future. 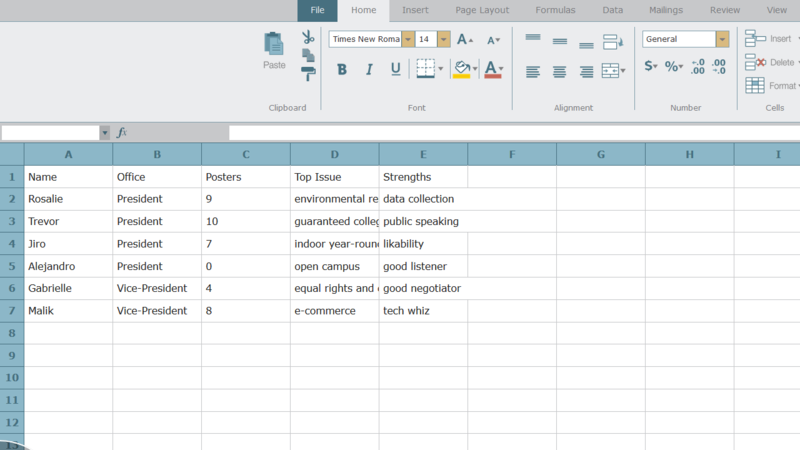 Students should complete this activity after viewing the EasyTech lesson Using Spreadsheets: Basic Formatting. Students decide how to spend the remainder of a budget for a youth basketball team. 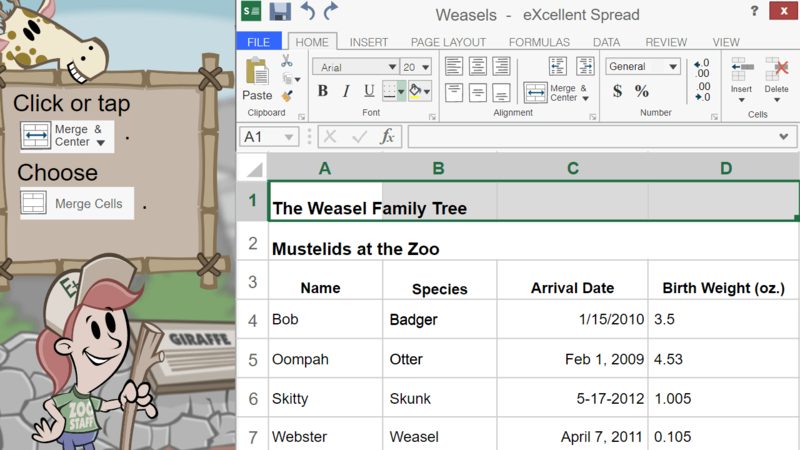 This engaging and interactive digital lesson provides direct instruction and practice using spreadsheet software to analyze data. The learners will create, label, and modify pie charts, bar graphs, and line graphs to effectively read, interpret, and communicate information. In this project-based lesson, students (like marketing experts) will work in competitive teams to create an advertisement for a product of their choice. Students will accomplish this task by creating and analyzing line, pie, and column graphs that reveal helpful information about their target audience and product. Each step of the project is accompanied by a formative assessment that will check student learning and guide them in creating a successful project that showcases their knowledge. Students enter provided data into a spreadsheet and create corresponding bar graphs, according to directions. Students enter provided data into a spreadsheet and create corresponding line graphs, according to directions. Students roll number cubes and use a spreadsheet to record how many times they land on numbers one through six, and demonstrate knowledge of mathematical probability. The learners will receive direct instruction and practice identifying a cell's row and column location, entering mathematical formulas in cells, and copying and pasting formulas across multiple cells in spreadsheets in this engaging and interactive digital lesson. Using data charting a person's average daily sugar consumption in the United States, Canada, and Mexico, students will learn to write formulas with relative and absolute references using addition (+), subtraction (-), multiplication (*), and division (/). Using a spreadsheet program, students calculate discounts and add sales tax to find out the total cost for a list of school items. Students set a timeline for a research paper to help them review and track their progress. Students create a bar graph to track progress on a research paper and reevaluate their estimated dates and rubric. Students use their time line spreadsheet, rubric spreadsheet, and bar graph to evaluate their work process in completing a research paper. Students set a timeline for a project to help them review and track their progress. Students create a bar graph to track progress on a project and reevaluate their estimated dates and rubric. Students use their time line spreadsheet, rubric spreadsheet and bar graph to evaluate their work process in completing a project. Students are asked to create a budget with a set amount of money in which to pay for housing, food, and other expenses, while trying to maintain a savings plan for short and long term goals. Using a survey, students collect research data and then display the results in a scatter plot generated by a spreadsheet program. Students collect numerical science data related to weather in their state and display the results using a line graph. Students will also find the mean, median, mode and range, and understand why these math concepts are important. 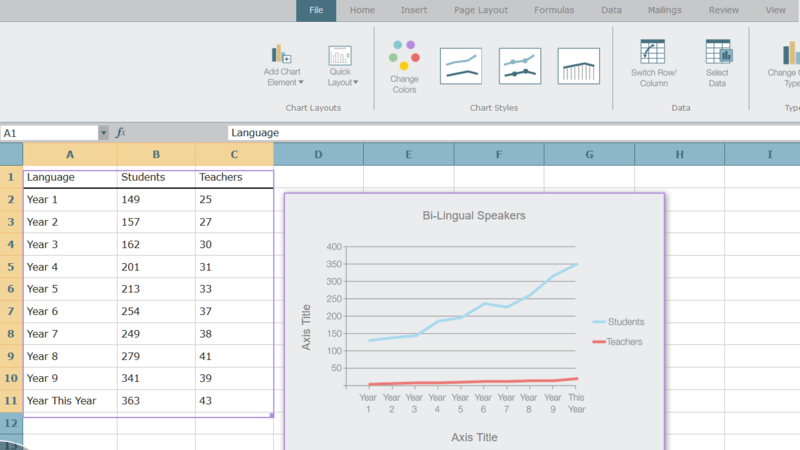 During this engaging and interactive digital lesson, the learners will receive direct instruction and practice formatting the functions of sum, mean, minimum and maximum, locating the function library, using the function tool, and specifying function cell ranges in spreadsheets. Do you like the idea of being able to do your work faster and more efficiently? 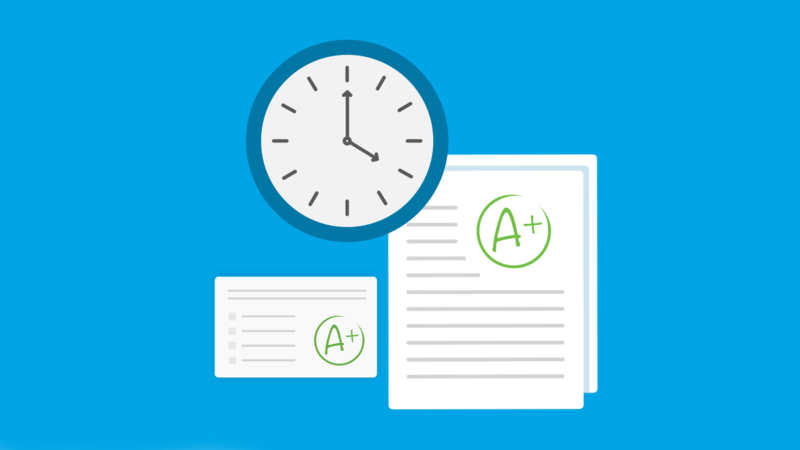 How about learning strategies that will speed up your progress in finishing math assignments, with complete accuracy? This application exercise will help you learn to calculate, organize, and interpret data at the click of a button using computer software. Using a spreadsheet program, students calculate the average number of musical instruments in three schools' orchestras. 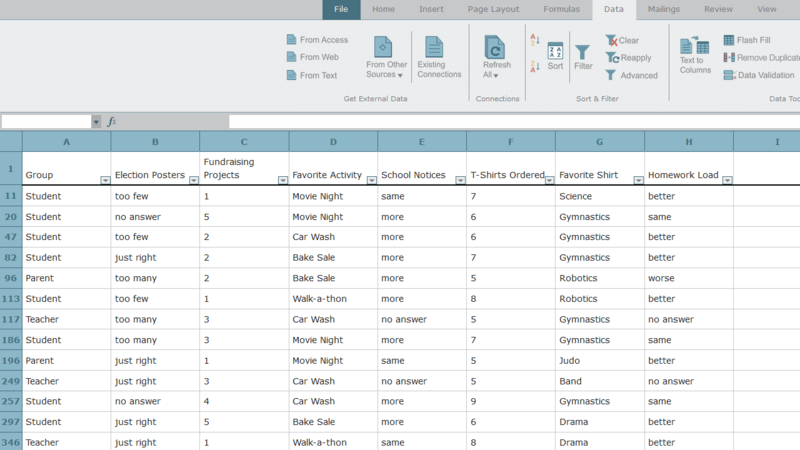 The learners receive direct instruction and practice organizing and analyzing spreadsheet data as they add and remove filters, save and store spreadsheets, use wrap text, scroll and freeze panes, and collaborate and share through cloud computing and web-based software in this engaging and interactive digital lesson. Students collaborate in pairs to navigate and read data in a spreadsheet using text wrapping, freezing rows, and filtering. They will also learn to share a spreadsheet stored in the cloud with another user. This activity will help them organize, read, and analyze data. 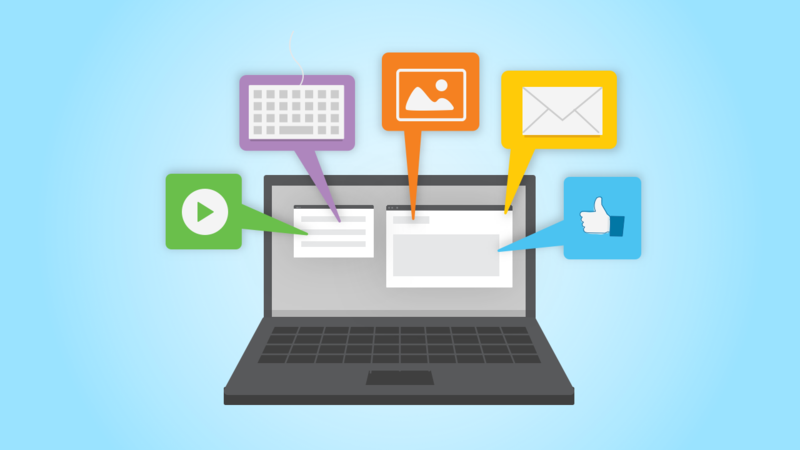 Students should complete this activity after viewing the Sharing and Filtering lesson. Using a spreadsheet program, students input information from a data table and format page orientation, cell alignment, and headers and footers as directed. 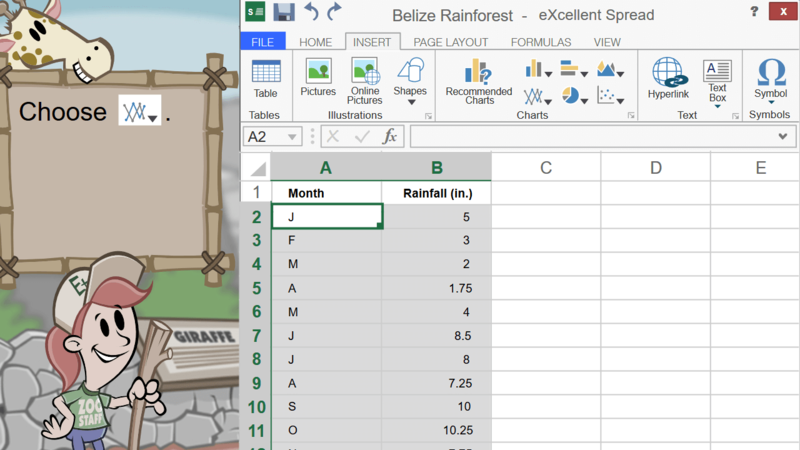 Students create two spreadsheets and choose portrait or landscape layouts. Students create rubrics to evaluate a product and the process used to complete the product. Students study the concepts of compound interest, saving, and credit card debt. They use spreadsheets to calculate the impact of factors such as interest, deposits, and payments on savings accounts and credit card debt. They reflect on their learning and set goals for making good decisions about saving and credit card use. 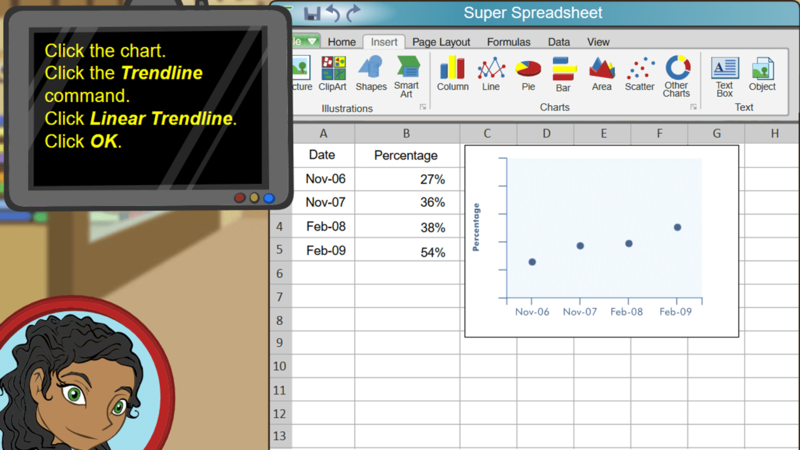 The learners receive direct instruction and practice using spreadsheets to identify trends and forecast possibilities as they explore primary source data, published data and original data, enter data and insert a chart or graph into a spreadsheet, and evaluate types of trend lines in this engaging and interactive digital lesson. Students will look at information and create tables, equations, and graphs about cell phone plans. Students will come up with comparisons between cell phone plans and look at different representations of the data. Students will use the different representations to make an argument for the best plans. After deciding what is the best cell phone plan, students will explain why they think the plan is the best. Additionally, students will write an effective word problem. Students gather and graph data about endangered species, identify trends, and draw conclusions. Then they create a persuasive poster to encourage people to continue to support the endangered Florida panther. 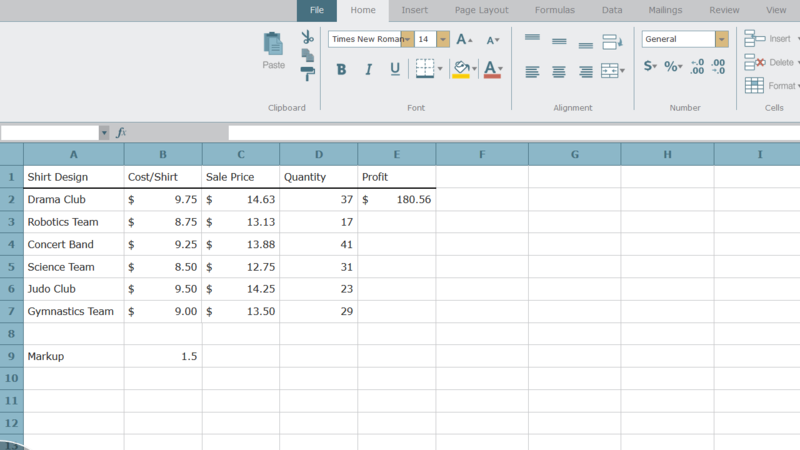 This unit quiz assesses the student's ability to use spreadsheet software toolbars to format cells and pages, to sort and auto sum a range of cells, to select chart and graph types appropriate to tasks, to interpret charts and graphs, to use operators in formulas with absolute and relative cell references, and to identify correctly written formulas.